Anil Ali, P.C. is an intellectual property (IP) and business law firm dedicated to protecting your idea and making sure your intellectual property rights are protected whether they be patents, trademarks, or copyrights. We have been patenting inventions and making business dreams come true, and we can do it for you. Our patenting method is simple: we understand your invention, seek the broadest claims, and patent your idea. Our trademark and copyright protection methods work the same way. 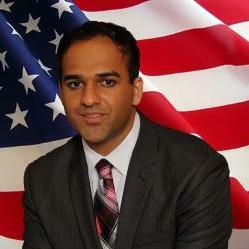 Businesses and individuals have been relying on Anil Ali since 2008. Anil Ali does not have any reviews yet.